The world-renowned Coalition DJs will celebrate their 11 year anniversary on Monday, January 21st at the legendary Masquerade venue in Underground Atlanta. 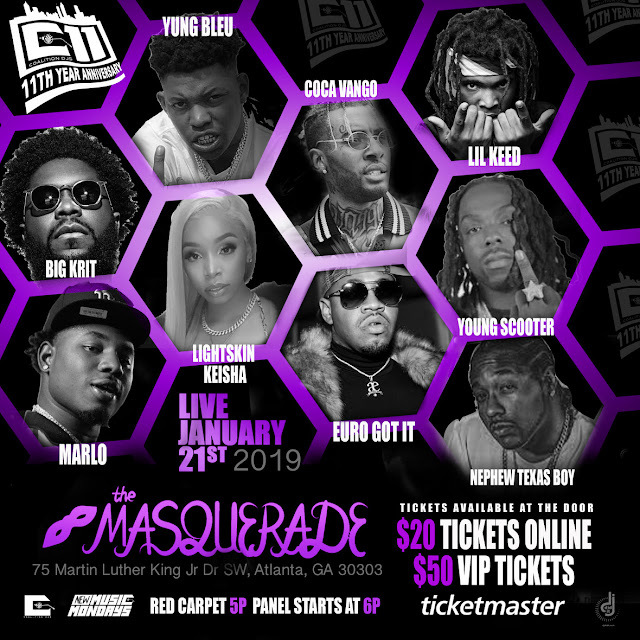 The star-studded concert series will feature several of the nation's hottest artists including Waka Flaka, Big KRIT, Young Scooter, Rocko, Young Dro, Taylor Girlz, Coca Vango, Lightskin Keisha, Lil Donald, Summerella and many more including surprise celebrity guests. The night is set to be hosted by DJ Smooth and DJ Filthy Rich and kicks off at 8pm.